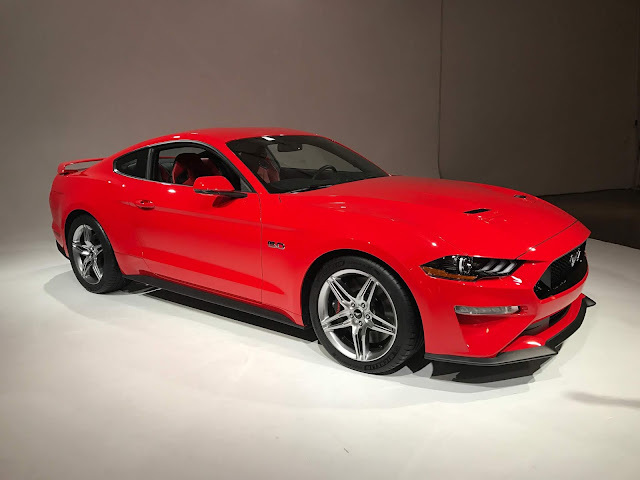 Now, in India, the American Sportscar Ford Mustang 2018 is launched in a new update of Mustang 2017. The sixth-generation Mustang has received new headlights which coming in three short strips of LED daytime running lights, redesigned front bumper, a wider front grille, a re-sculpted bonnet that’s 20 mm lower, new C-shaped rear light clusters, black-finished diffuser, a small rear wing in the GT model as well as a quad exhaust system reminding of vintage Mustang. It is a four-seater car & has a length of 4784mm, a width of 2080mm & a wheelbase of 2720mm. It designed as a comfort for the person which enjoy its specific design. The GT will be more powerful by generating torque 460hp & 570Nm, which helps to achieve 0-100 kmph in under 5 seconds.